We are big believers in taking advantage of available RV publications. There are a variety of RV books, magazines and videos that provide great insight into the RV lifestyle. They offer valuable tips for RV buying decisions, RV maintenance and repair, RV living and travel ideas. We started our own journey into this lifestyle by reading about it. And we continue to enjoy and learn by reading. We have found it worthwhile to get different perspectives and ideas. Here is an assortment of links to valuable RV publications. Get easy access with these RV Ebooks. Information on a variety of RV topics is covered in these downloadable ebooks. A great way to learn and keep handy for future reference. RV Education 101 Ebooks: A great collection of RV learning. Take advantage of these instant downloads and learn what you need to know. Retire to an RV provides you with exactly the right information to decide if fulltiming is for you. RV Lifestyle experts share their combined knowledge based on 17 years on the road and five previous books. Plus 41 solo and couple RVers share their real-life experiences. We love the different perspectives to help make decisions! Available in print, ebook or Kindle/Nook/iPad. Most Scenic Drives in America. We are getting a lot of use out of this book – it has lots of ideas for routes to take, along with beautiful pictures. RVers Guide to Dump Stations A handy guide to have for your travels. America’s National Parks. Video tour of our national treasures. Covers 55 American National Parks from Alaska and Hawaii to Florida and Maine. A great collection and inspiration for travel. 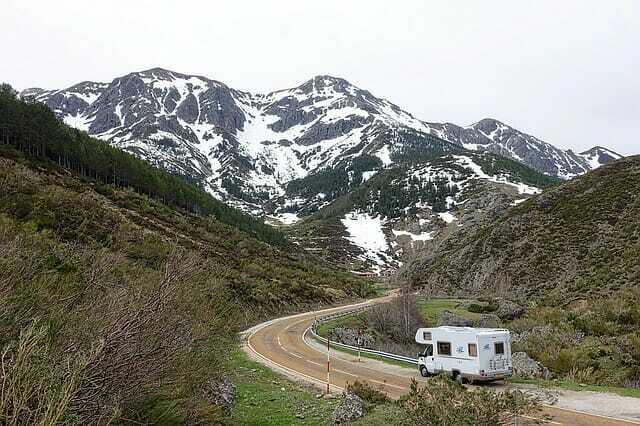 Guide to Buying a Used RV: The purchase of a “new-to-you” recreational vehicle is exciting. Whether it is your first, your fifth, or your final RV, it is an important purchase and start of a new adventure. This guide will teach you what to look for and especially what to look out for when shopping for a used RV. The RV Book – By Mark Polk. This comprehensive RV publication covers all aspects of RV ownership; from selecting and buying the right RV to setting it up at your favorite campground. Everything you need to know! Live Your Road Trip Dream: Travel for a year for the cost of staying home. Great Boondocking books tell you where to stay in southern Texas, Utah, Arizona and New Mexico. Highways Magazine is a free digital RV publication when you join the Good Sam Club. Watch It Made in the U.S.A: A Visitor’s Guide to the Companies That Make Your Favorite Products. What a great book full of interesting stops to make while on the road! RV Videos; Learn about various types of motorhomes and towable RVs, towing procedures, RV maintenance, storage and more. Easy-to-follow DVDs are a great way to learn and use as a refresher. These videos provide the “how to’s” of operating your RV. They are ideal for those new to the RV lifestyle, as well as veteran RVers looking for a refresher on safe procedures. A great visual way to learn and remember! Topics cover many aspects of the lifestyle – the basics of RVing, camping and campgrounds, how to use your electrical, plumbing and battery systems, buying an RV, RV maintenance, driving tips and techniques, backing a trailer, winterizing, etc. Even better, get them NOW with these easy instant downloads!